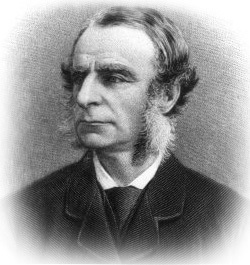 Charles Kingsley once described some of the population of Ireland as ‘white chimpanzees’! So who was Charles Kingsley, and why did he say this about men and women who, the Bible says, were ‘made in the image of God’ (Genesis 1:27)? 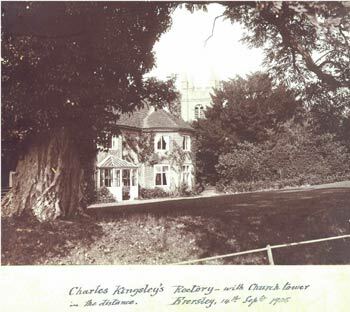 The 19th century English clergyman Charles Kingsley (1819–1875) was also a writer, amateur naturalist and historian. Today’s older generation probably know him best for his children’s book The Water Babies, a curious work which featured a form of ‘evolution in reverse’. For example, the main character, Tom, is a human child who has become an amphibian with gills and now lives in the water. The great Irish potato famine provides the backdrop for Kingsley’s comments. In the early 1800s, the potato had become the staple diet of about 3 million Irish farmers, after it had been introduced to Europe from South America by the Spanish in the late 1500s. Potatoes were nutritious, easy to grow, and produced more calories per acre than any other crop. One strain in particular, the so-called ‘lumper’, produced a higher yield than any other. For the Irish peasant farmers, growing this variety exclusively was virtually a necessity, brought about by the increasing subdivision of family plots into smaller and smaller holdings as the population increased. Most families were trying to survive on less than one acre. Then, in 1845, disaster struck. The fungus Phytophthora infestans, which causes a disease called Late Potato Blight, arrived inadvertently from North America, and 40% of the Irish potato crop was wiped out. Other vegetables and various grains were immune and grew in abundance, but they all belonged to the landlords. In 1846, the farmers planted what potatoes they had, but some contained dormant strains of the fungus. When it rained, the blight returned, and that year the potato crop failed totally. People ate whatever seed potatoes they had left, so that in 1847 there was nothing to plant and so nothing to eat. Well, not quite nothing! During 1846, Ireland produced enough wheat, barley, oats, pigs, eggs and butter to feed the entire population. But these were needed to pay the rents or were too expensive for penniless people to buy. Those tenants who failed to pay their rents were evicted—about half a million over the total period. False evolutionary dogma can poison a person’s thinking, even to regarding fellow descendants of Adam and Eve as little more than chimpanzees. Death and disease touched nearly every family. Many wandered the countryside begging. In a population of 8 million, about 1 million died of starvation, and about 1 1 /2 million emigrated, mostly to the United States, as refugees from the destructive blight.7 The timber ships of the day were called ‘coffin ships’, because up to half of the already-malnourished passengers died en route. Kingsley was a product of the radical thinking of his day, and his mindset was obviously both evolutionist and racist. However, the tragedy he described does not support his evolutionist views of humanity. He did not know, for example, that among the Irish emigrants were the ancestors of John F. Kennedy, 35th president of the United States! Kingsley’s sad attitude towards the Irish shows how the false evolutionary dogma can poison a person’s thinking, even to regarding fellow descendants of Adam and Eve as little more than chimpanzees. The Irish potato blight tragedy has long been a useful illustration for creationists of the fallacies of evolutionary thinking. It highlights how selection, even when it ‘improves’ crops, actually reduces the total amount of information (genetic variety). The South American wild ancestors of the Irish potatoes include varieties which contain genes that enable them to resist the blight fungus. Their more specialized descendants in Ireland had lost this ‘resistance’ information. So selection had made them ‘better’ potatoes in one sense, but it was a downhill change overall, as starkly illustrated by Ireland’s pain. Losing information is the opposite of what needs to occur to turn microbes into man. It is thus ironic that Kingsley’s comments, though inspired by evolutionary mythology, were triggered by a phenomenon that discredits it scientifically. A friend of CMI, Pietari Tamminen of Finland, has kindly drawn our attention to the following quotation from How British Free Trade Starved Millions During Ireland’s Potato Famine, written by Paul Gallagher and published in The American Almanac May 29, 1995. The Irish population was officially 8.1 million in 1845. Some 1.5 million human beings died of starvation and disease in Ireland in four years, while more than one million attempted to emigrate; of these. about 500,000 died—usually of typhus—in passage or in quarantine camps in Canada and New England. The Life and Letters of Charles Darwin, D. Appleton and Co., London, 2:81–82, 1911. Return to text. Darwin, C., On the Origin of Species, 2nd edition, John Murray, London, chapter 15, 1860. Return to text. See Grigg, R., Darwin’s quisling, Creation 22(1):50–51, 1999. Return to text. 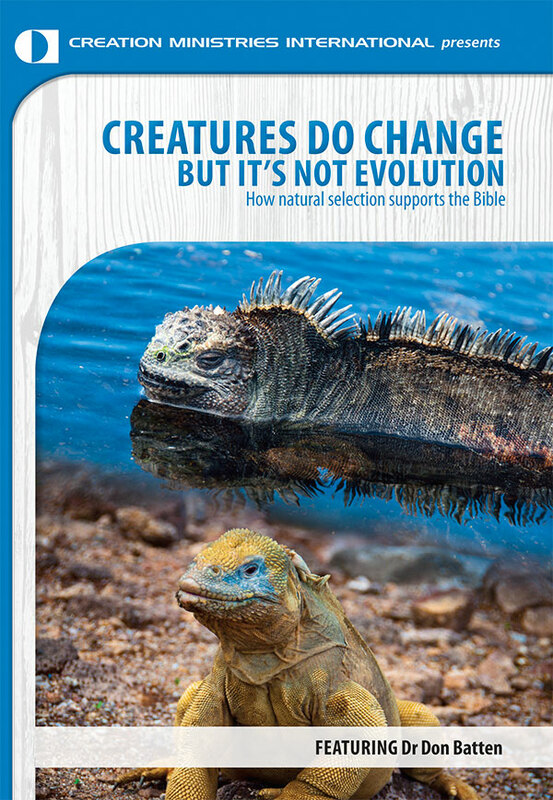 See Grigg, R., Darwinism: it was all in the family, Creation 26(1):16–18, 2003; and Grigg, R., Darwin’s illegitimate brainchild, Creation 26(2):39–41, 2004. Return to text. Some claimed that the ‘white races’ were descended from Adam and Eve but that God had created the non-whites separately (polygenesis). See Grigg, R., Were there human beings on Earth before Adam? Creation 24(4):42–45, 2002. Return to text. Wohl, Anthony (Prof. of History at Vassar College), Racism and anti-Irish prejudice in Victorian England, victorianweb.org, 22 January 2004. Return to text. Encyclopaedia Britannica 17:387, 1992. Return to text. Curtis, L.P. Jr., Anglo-Saxons and Celts, Univ. of Bridgeport, Connecticut, USA, p. 84, 1968. Return to text. Batten, D., What! no potatoes? 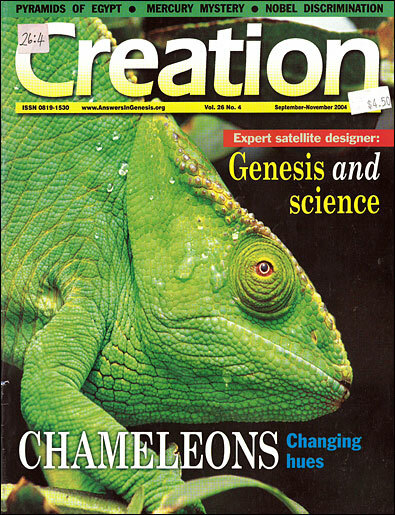 Creation 21(1):12–14, 1998. Return to text.